I’m generally a fan of Nokia’s business focused Eseries smartphones, while for day-to-day use I require a device with a QWERTY keyboard (preferably a portrait one). Combine the two and the Nokia E71, released around 18 months ago here in the UK, is as close as I’ve got yet to the “perfect” smartphone — I even named it in my top ten Digital Lifestyle products of 08 — although, obviously, it’s far from perfect. Perfection is, of course, a moving target in the world of smartphones. 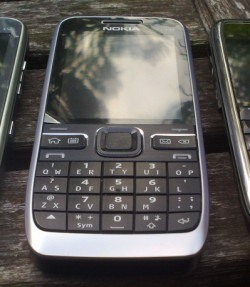 The subsequently released Nokia E75, which features both a traditional numeric keyboard and a generously large landscape slide-out QWERTY, came in at a close second and even offers a few of improvements over the E71, such as a faster processor, updated software, better camera and a 3.5mm headphone jack. 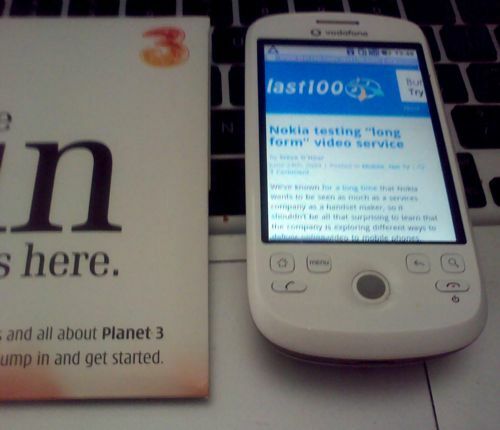 I was therefore keen to try out Nokia’s attempt at a third QWERTY touting form factor, with the announcement of the E55. As you can see from the photo above, the device adopts the traditional candy bar shape by featuring something the handset maker is calling a “compact QWERTY”. Essentially housing two QWERTY letters per key (can I say half a QWERTY?) and utilizing predictive text to bridge the gap. But, in everyday use, how does the E55’s keyboard perform?